The Wardrobe is a space for everything beautiful! I have had the pleasure of featuring a number of beautiful and talented women on this blog since it's launch. From designers, to business owners and beauty and fashion gurus, everything is curated by me to create a vibrant and diverse array of style inspiration. Looking to the future, The Wardrobe is evolving to include not just style inspiration but also practical guidance, advice, and wisdom for other creatives. In connection with a series of articles I am writing about the creative industry, it seemed timely to share a little more about myself and how I created this platform. 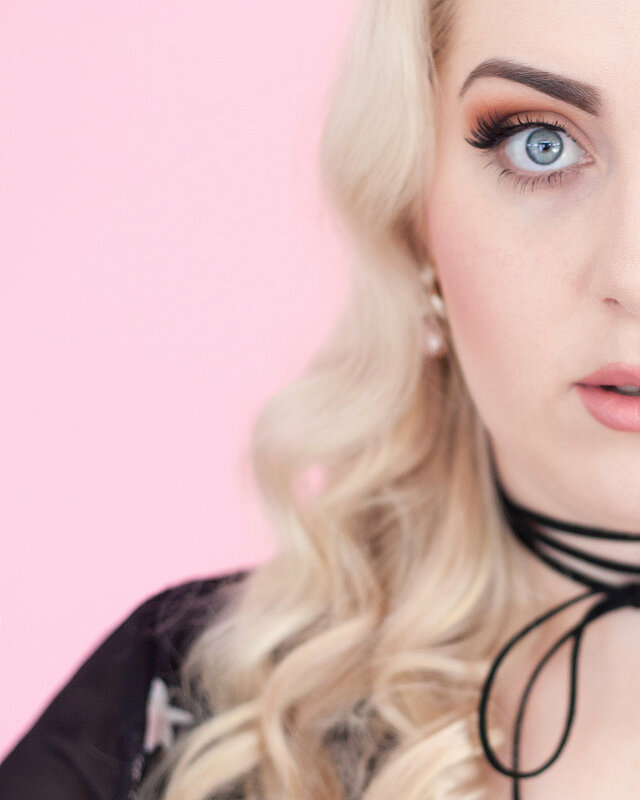 Here's a few facts about me, as the creator and photographer behind The Wardrobe Blog! I'm a Scorpio, and avid astrology guru. Triple scorpio in my chart including my Sun, Moon and Mercury. I also love palm reading and numerology. I'm an ENFJ personality, and love taking care of others. Especially buying gifts for people! I was born in Christchurch, New Zealand. I am a full-time self employed photographer within my business "The Undefined Photography". My heritage is half Dutch, a quarter Irish and a quarter Russian. My favourite mantra is: "Rise and rise again, until lambs become lions." I grew up studying the arts but also considered becoming a psychologist. I have always loved fashion, ever since I was very young. It's hard to pinpoint exactly what inspired my early love of style but I have always been fascinated with the fine arts, and the arts in general. My Mum inspired in me a love of colour and music, and as a child always ensured I had the creative resources I needed at my fingertips. I didn't always consider myself an artist. I was known as 'speech girl' in Primary School, as I did a lot of acting and theatre activities. I went to the Auckland speech championships twice before I was 12, and I greatly enjoyed performing and public speaking. My whole family are creative. My Mum was a piano teacher and my Dad spent a lot of time on woodwork, stained glass, drawing and building. My younger sister is a talented artist and dancer, and my youngest sister is an aspiring chef. I feel that growing up in a house where any creation was possible hugely inspired me. Our environments have a huge impact on our perspectives. My Dad built half our house when I was young, so seeing how the world can be changed with your own two hands was, and is still a fundamental belief I hold. I started as a painter, one of the many creative activities I explored. I consider myself a renaissance woman, the many projects I am involved with fuel my passion further. In intermediate school I started watching the vibrant 80's anime show 'Cardcaptors' and fell in love with Sakura and her friend Madison, who every episode would conjure these incredible colourful and feminine costumes, and that I believe was where it all started. At Whitecliffe I was surprised to find the skills being taught were the very basics. Instead of continuing my work on wedding gowns, and tailoring we spent our time on basic skirts and pattern blocks. In my experience, the focus was on developing yourself as an artist, rather than a master of your craft. If this is what you are looking for in your studies, then it may the right place for you, but after considering the time I would spend there, and four years of training without the extensive practical training I was seeking, I decided to leave after a year. I graduated with a certificate of visual arts and design but was a little confused on where to go from there. There were many times I considered giving up, I was not very good in the beginning from both a technical and artistic standpoint, and I desperately wanted to create work like the great photographers that inspired me. It seemed so far away and at times pointless. My family supported me though, and I improved while growing my networks. I collaborated with makeup artists and models, while juggling part-time retail work. Through my growing networks, I connected with larger companies and industry figures, working for a range of commercial labels including Glassons, Overland, Pumpkin Patch among a range of smaller media companies. Eventually I settled in work on a contract basis, for a variety high end portrait studios. There I was intensively trained in lighting, posing, process and post work with every day people from the best photographers in the industry. It was from there that I realised my true passion lies with real people and raw, authentic stories. So I ventured out on my own, started up the Wardrobe Blog and went full time as a self employed photographer. Now I photograph weddings and portraits in summer, and in my 'off season' I do a range of commercial contracts including photographing Fashion Week for the official media partners, FashioNZ. My love of fashion has influenced my business, and I am one of the few photographers offering styled sessions for a range of aesthetics including modelling portfolios vintage and pinup portraits. My favourite thing about my job, is seeing the joy I can bring others through my ability to show others how beautiful they are. I hope to be not just a leader in my industry, but also a facilitator for the next generations of creatives and in the near future establish a studio that will be a place of growth, learning and inspiration. This blog had humble beginnings as more of an emerging fashion label when it was created. In 2012 I decided to put my design and photography skills to use in combination, and created my first set of pieces which I called 'The Dorothy Collection'. I was still working my way up the industry ladder as a photographer during this time. I spent hours hand embroidering each of the garments, which were minimalist in design and completely crafted by hand myself. I started an Etsy shop and featured my creations including a range of jewellery on the website which I called 'The Wardrobe'. Hence the beginning of this blog! After my initial exhibition of my new collection and the launch, when a few were stolen, I lost traction, motivation, and didn't promote my work. As a result I gave up disappointed a few months later. Perfection has been a lifelong pursuit of mine, and I reflect on this in my last article about redefining what 'The Creative Life' means. In 2016, I decided to focus on my love and not the end game, and I started plans for restarting my blog as a fashion and beauty blog. I have consistently dedicated myself to it's creation and development since. It has grown into the online platform it is today, and my personal goal for this blog is to create work where I am continually exploring creative boundaries, and which I am proud of. That is what gives me great joy. Here I curate everything that is beautiful, vibrant and feminine about fashion and beauty. The Wardrobe showcases the unique talent, creations and style of New Zealand women who are inspiring change across the industry, and leading the future of fashion and beauty. I take a huge pride in ensuring that every single image and piece of text you see here on The Wardrobe is completely handcrafted. I create many of the stories you see from scratch, and plan them out so you see only original and fresh content! But I couldn't do it without the contribution of other New Zealand creatives who also feature their beauty and expertise on here. If you are a business owner, or Kiwi creative and would like to feature on my blog, please do get in touch at: katherineannmarie@gmail.com to discuss an upcoming business or style feature. Don't forget to follow along for all the behind the scenes action on my Instagram here! Thank you for all your support, and for following along on this creative adventure with me. I hope you love what I share with you, as much as I love creating it. “Art is for the Revolutionaries, the fighters, the dreamers and the risk takers. The only way to truly find yourself is to tread the waters of the unknown." In an industry that’s known for being ruthless and vain, the NZ fashion industry is seeing a rise of positive change at NZ Fashion Week.